The infamous killer Michael Myers strikes again in Halloween, arriving on Digital and MOVIES ANYWHERE on December 28, 2018, as well as on 4K Ultra HD, Blu-ray, DVD and On Demand on January 15, 2019. 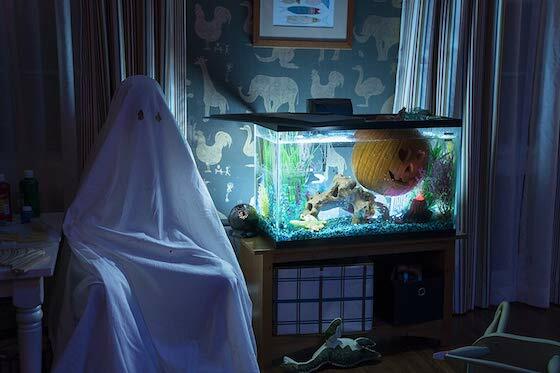 Halloween takes place four decades after Laurie Strode (Jamie Lee Curtis) narrowly escaped the masked Michael Myers’ brutal killing spree. 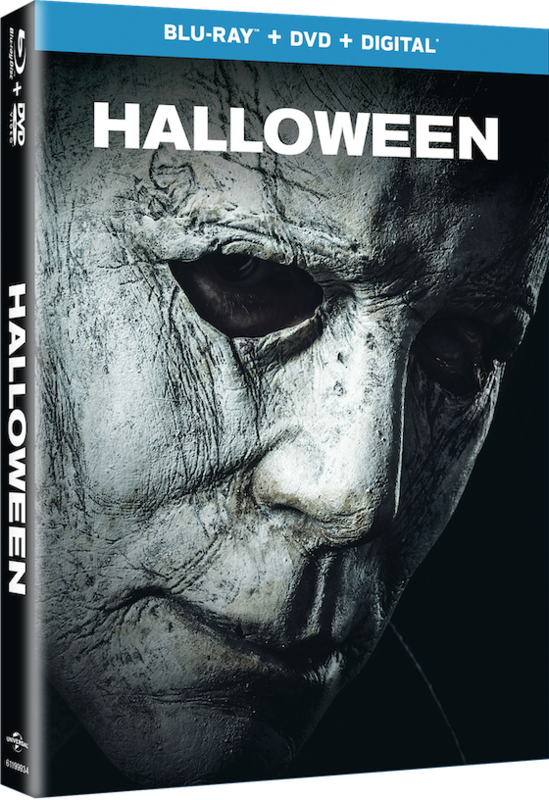 Packed with bonus features including chilling deleted and extended scenes as well as special featurettes showing behind the scenes looks at creating the film, Halloween delivers spine-chilling, hair-raising intensity and thrills to both new and repeat viewers. "Forty years after the events of 1978’s Halloween, Laurie Strode (Curtis) now lives in a heavily guarded home on the edge of Haddonfield, where she’s spent decades preparing for Michael’s potential return. After being locked up in an institution, Myers manages to escape when a bus transfer goes terribly wrong, leading to chaos in the same town he preyed on decades earlier. Laurie now faces a terrifying showdown when the deranged killer returns for her and her family – but this time, she’s ready for him." 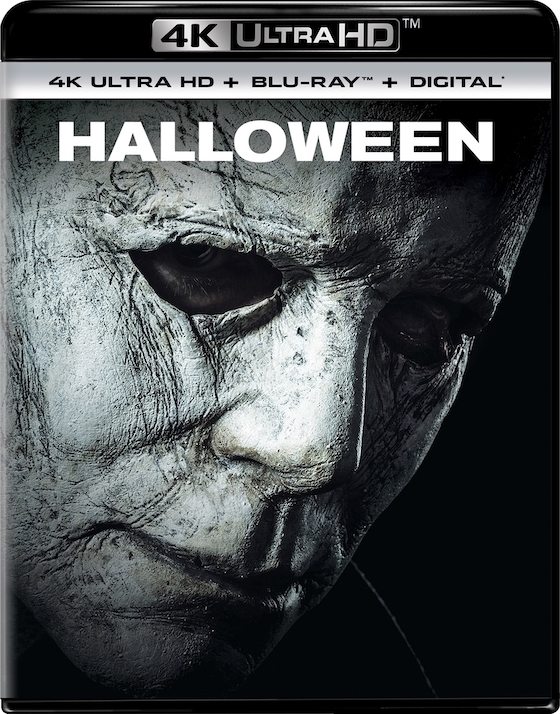 Synopsis: Forty years after the events of 1978’s Halloween, Laurie Strode (Curtis) now lives in a heavily guarded home on the edge of Haddonfield, where she’s spent decades preparing for Michael’s potential return. After being locked up in an institution, Myers manages to escape when a bus transfer goes terribly wrong, leading to chaos in the same town he preyed on decades earlier. Laurie now faces a terrifying showdown when the deranged killer returns for her and her family – but this time, she’s ready for him. 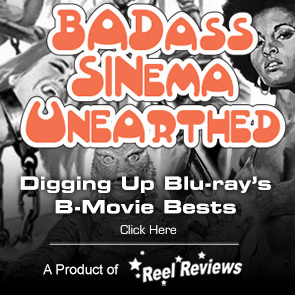 The film will be available on 4K Ultra HD in a combo pack which includes 4K Ultra HD Blu-ray, Blu-ray and Digital. The 4K Ultra HD disc will include the same bonus features as the Blu-rayT version, all in stunning 4K resolution.